When I picture my father’s time in the South Pacific, I see turtles. In 1952 my father, a Royal Navy Surgeon, was present at Britain’s first atomic bomb test in the sea off western Australia. He was in the prime of his youth, and no doubt relieved to have survived the war. He kept a diary of his exploits. In one entry he describes the sea teaming with turtles – so many of them that the ship’s coxswain decided to let down the ramp of a landing craft and try and scoop some of them up so they could make turtle soup for dinner. In my young mind that memory became entwined with another image from the diaries of Christopher Columbus, written five centuries earlier. In the North Atlantic, Columbus wrote that his sailors were kept awake at night by thousands of turtles bumping noisily against the wooden hull of their ship. As a boy reading those diaries, it was easy to believe that our oceans are full of sea turtles. Sadly, that is no longer true. An encounter with a turtle today is a rare and magical experience. Two years ago I did a series of long distance swims in the Seven Seas; I wanted to highlight the impact human activities are having on our oceans, focussing on the ancient ones we know from history books. I expected those seas to be depleted, but I was shocked at the devastation I encountered during my swims in the Mediterranean, Adriatic, Aegean, Black Sea and North Seas. Over a period of one month I did not see one shark, one dolphin, one whale, or one turtle. In fact, the biggest fish I saw was less than 30cm long. Overfishing, pollution, and rising temperatures had altered habitats and decimated sea life. 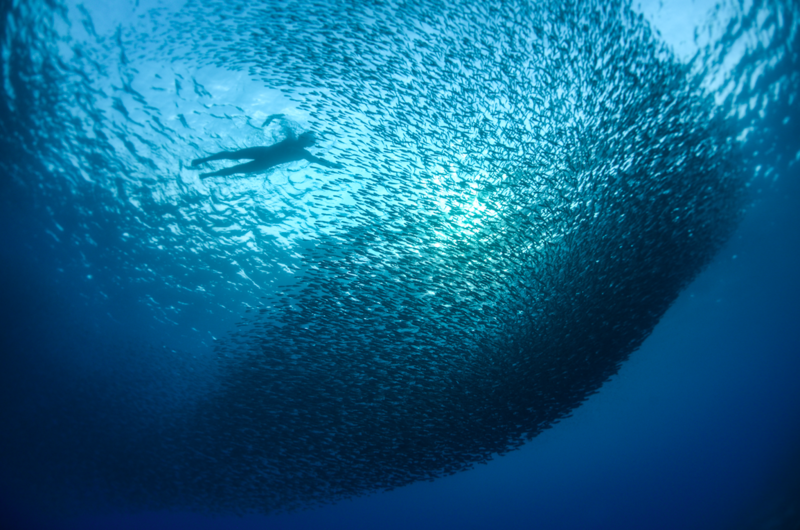 It was only when I reached the Red Sea, and swam through a Marine Protected Area where fish are left alone and ecosystems are given a chance to recover, that I saw anything like the aquatic paradise described by my father and the early explorers. 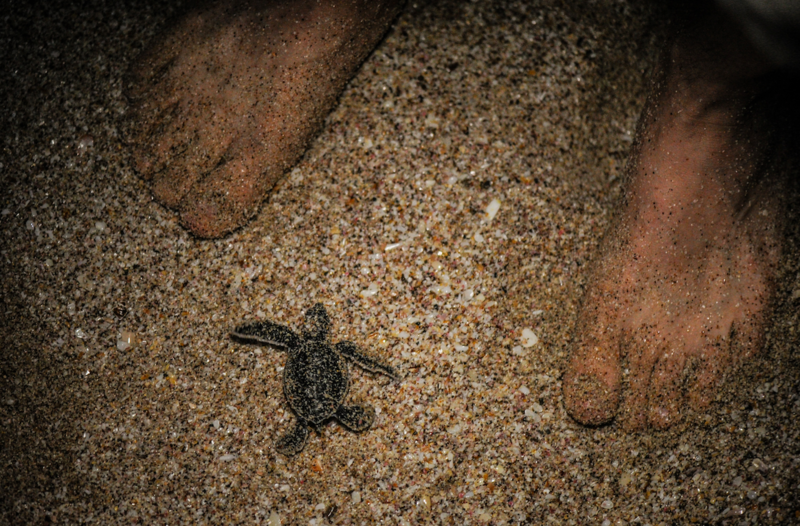 Then we reached the Arabian Sea, and found sea turtles. I wasn’t even thinking of turtles as I prepared for the swim. We were launching off the coast of Oman, in another Marine Protected Area. The temperatures during my Red Sea swim hit 55°C and the sun had scorched me redder than a proverbial lobster; this time I wanted to start early. The beam from the local lighthouse was still visible as we made our way down to the beach, but so were lots of smaller lights, all shining down onto the sand. As we got closer I realised what they were: torches in the hands of tourists who had come to watch green turtles hatching. 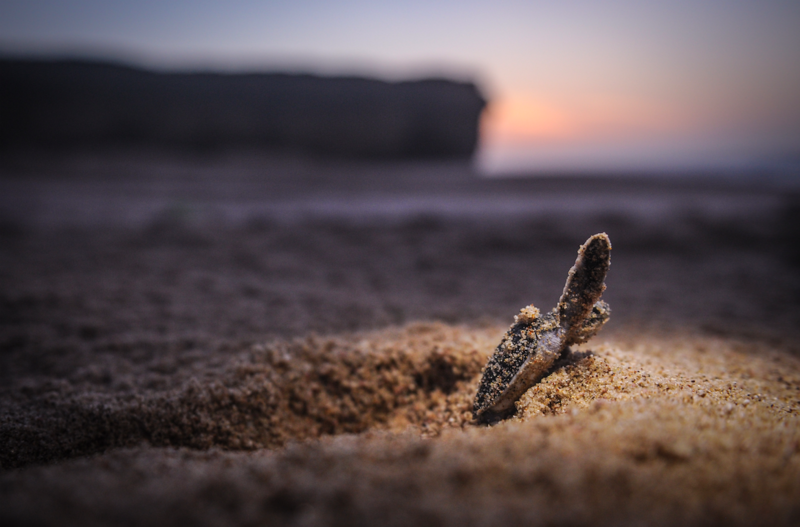 At the same time as these tiny creatures were emerging from the sand, full grown mother turtles were laying new eggs. It was an astonishing sight. 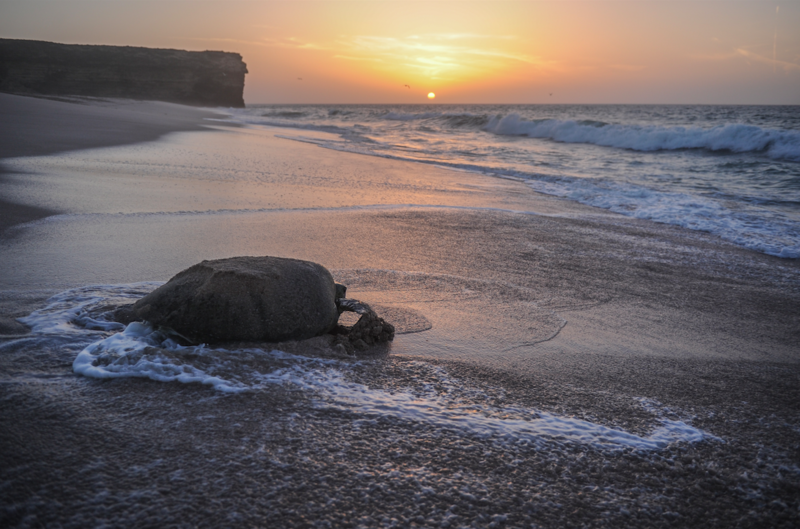 Turtles are not agile on land, and the mothers laboured to dig nests with their flippers, while the new hatchlings struggled over the sand to reach the safety of the sea. I stood there quietly willing them on, fighting the urge to help these disoriented babies over the last metres to the water’s edge, mindful of the hungry gulls circling overhead – perhaps they too, had hatchlings to feed. I knew I was witnessing one of the natural wonders of the world. I forgot about the rising sun; I almost forgot about the swim altogether. I know how fortunate I was to witness that special event. Sea turtles once lived in almost every ocean in the world, travelling thousands of kilometres between feeding and nesting grounds. If they are not hunted for their flesh, eggs, or shells, they can live for a hundred years. The females like to lay their eggs on the same beaches from where they hatched. They can lay over 100 at a time, but the journey to the sea is a perilous one for the hatchlings, and less than 1% will survive to adulthood. Those that do make it, face being hunted or caught in fishing nets, often to be discarded as by-catch. Which is why all seven species of marine turtle are now listed on CITES Appendix I, which prohibits international trade in endangered species. There are seven billion people demanding food, clothing, medicine and materials from nature every day. The pressure on our wildlife species is unbearable. In the last 40 years we have lost 52% of the world’s wildlife; and now turtles are critically endangered. But what can you do about it? Actually, a lot. As one of those seven billion people, you have a choice. When you walk past the holiday souvenir kiosk, ask yourself: did an animal die for this? If the item is made from ivory or turtle shell, please turn away. You don’t need a handbag made of turtleneck leather. Or a carving made from slaughtering an African elephant. It’s only by stopping the demand for these products that we can beat the trade and save the species. The trade in endangered species thrives on ignorance and indifference. It’s one thing, fishing to sustain a family; it’s quite another wiping out an entire species to satisfy a fashion fad. Illegal trade in wildlife is also entwined in the criminal underworld. Don’t be lured by a trinket and support that vicious circle. I urge you to support conservation efforts that foster peace. Support marine conservation organisations and tourist industries that turn species and habitat protection into jobs for local communities. If you eat fish, please only shop for sustainable fish with no turtle by-catch. And respect beaches where turtles have laid their eggs. That way you too might stand on a beach one day and marvel at the miracle of a tiny turtle running toward the deep blue sea.